This is one of the first steps in your Quality Management System (QMS) transition or implementation project is to compare your organization to the requirements of the ISO 9001:2008 standard, CMMI frame work and other quality standard. This is generally performed by the consultant during one of the initial visits to your facility. 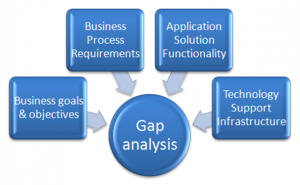 IQMS Gap Analysis help you pinpoint the vulnerabilities and risks that currently exist within your systems, applications, policies, procedures, information security defenses and IT infrastructure.